Hi everyone - I have part/full time vacancies at the present and would welcome enquiries for both positions. Experienced, Reliable, Flexible and Caring Childminder who creates a safe, fun enviornment for children aged 0 upwards. All references are available, as well as verbal ones, so please give me a ring if you are interested in high quality care, from a Nanna!/Childminder. My children have all grown and flown the nest now and I have 8 lovely grandchildren. Full list of Policies in place for the care of your children. Verbal references for the genuine enquiries. ** DIPLOMA Level 3 in Children and Young People"
Thank you everybody for your interest. Best of luck to you in your endeavours for a childminder. I am happy to discuss fees once you have visited and viewed what I have to offer. Below are the latest reviews for DeesTumblers. 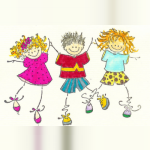 Please note that reviews represent the subjective opinions of other Childcare.co.uk users and not of Childcare.co.uk. Parents must carry out their own checks and references on childcare providers to ensure that they are completely happy before enaging in the use of their services. Dee looked after our children for a short period whilst I recovered from an operation. During their time with Dee our Daughter & Son really enjoyed themselves and they were lovingly looked after by Dee. Many thanks Louise & Julian. Thankyou for your review. Your children are absolutely delightful and we had quite a few adventures together. The Contact Book and Pics will be with you in about a week. Anytime you need me just give a call and if I can help I will. Thanks Dee for looking after Sean and Chloe Spring 2013 - we have developed a nice friendship with you and find you very professional and flexible - Sean and Chloe were so lucky to be with you and will be sad to leave due to our move to Dulwich. Thyank you so much for the kind words Maaret - they are much appreciated and it was a pleasure to look after Chloe and Sean and I am sure our friendship will develop into a lasting one. My sons spent several years with Dee. They loved it. Dee does so much more than is expected of a chlldminder. The majority of her house and garden is arranged to appeal to the children and she provides splendid home cooked meals. The children always enjoyed staying with Dee. All the children at Dee's treat each other with care and respect which is a great reflection of the environment.